Last year saw Infiniti achieve an all-time sales record in the Europe, Middle East and Africa (EMEA) region, with around 8000 more vehicles sold than in 2015. In total over 29,000 vehicles were sold in 2016, a 37% increase on the previous year. In the Western and Central Europe region, sales were more than doubled, with the 16,000 vehicles sold representing an increase of 140%, or 10,000 vehicles.The strong successes of Infiniti’s new compact Q30 and QX30 vehicles, alongside a substantial expansion of the company’s dealer network, are two of the main reasons for the increase in sales. In the overall EMEA region, sales of the Q30 & QX30 combined amount to more than 12,000, accounting for more than 40% of sales in 2016. 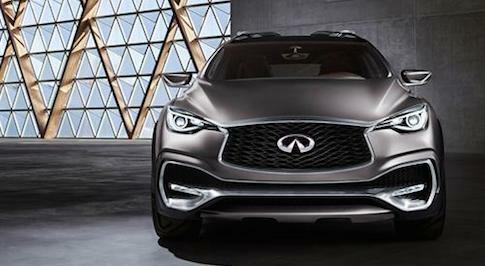 In Western Europe sales of Infiniti vehicles were almost doubled in every individual market, with France, Germany, Italy and the UK particularly strong performers. 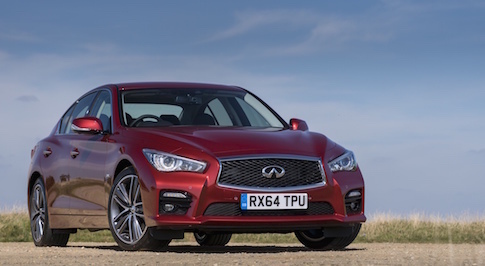 UK registrations increased by 142%, with 2891 vehicles sold, making Infiniti the fastest growing automotive brand in the country. Over 7700 vehicles were sold in the Middle East, defying market pressure, with the company’s market share growing from 6% to 6.4%. In addition to a strong performance in the EMEA, Infiniti sold over 230,000 vehicles globally in 2016 – a 7% increase from 2015 – and achieved sales records across all regions. In the Americas over 153,000 vehicles were sold, a 4% increase. Sales in the US were also a record, with an increase of 20% and more than 18,200 vehicles sold. Canada saw over 12,000 vehicles sold, marking a 7% year on year increase, whilst Mexico saw sales totalling above 2220 and increasing by 23% - both new records. Increases in the Americas were driven by strong sales of SUV models, and the launch of the new Q60 coupe.